Luka Baby is an AI reading robot designed for kids aged 2-8 in China. Luka Baby integrates advanced AI computer vision technology to accurately recognize the content of picture books. Users can turn the page as usual and Luka Baby will read to them like parents do, making reading happier and easier for kids. The up-to-date cloud database now contains over 30,000 picture books. 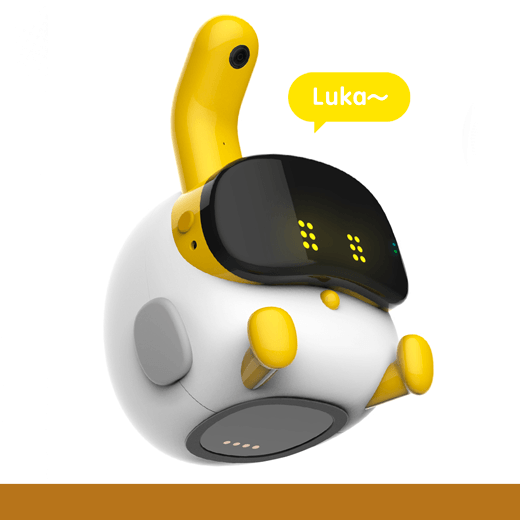 Luka Baby is the perfect fusion of a toy and a learning robot that kids love. Designed by: Ling Technology Inc.